WildBlue real estate is a unique one-of-a-kind master-planned community that spans over 3,500 beautiful acres nestled in Estero, Florida. Set amidst lush natural surroundings, this British West Indies styled community is the brilliant collaboration between four esoteric builders, Pulte Homes, Lennar, WCI and Stock Development. 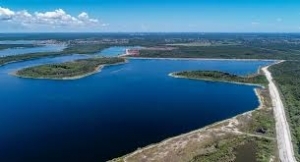 Together, their combined expertise and years of experience will create an unparalleled lakeside living community in Southwest Florida. WildBlue introduces an extraordinary lifestyle to Southwest Florida. With a wide array of amenities, 1,100 exquisite homes and over 800 acres of freshwater lakes, this is the opportunity you’ve been waiting for. Construction WildBlue begins 2018.